My favorite part of the holiday season is spending every afternoon making crafts with my son. All of the projects that we do are part of our advent calendar - so when he gets home from school, he opens an envelope to find out what our project will be. It is the perfect way to bond after he has been away at school all day! Last night we spent a few minutes before dinner crafting miniature cork Christmas Trees to display in our home. This craft is super easy and it's perfect for children of all ages. It would also be an ideal crafty activity for your holiday party! 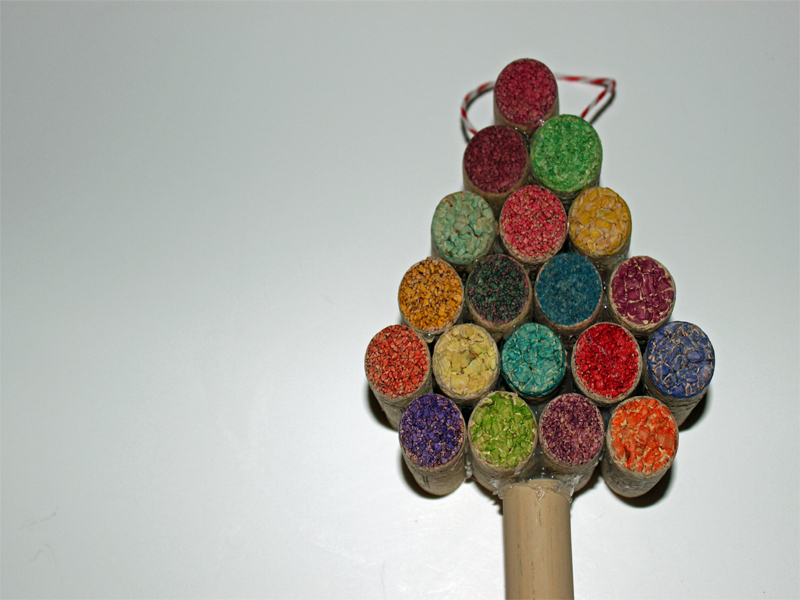 Read on to learn how to make these simple recycled miniature wine cork Christmas trees in a few easy steps. 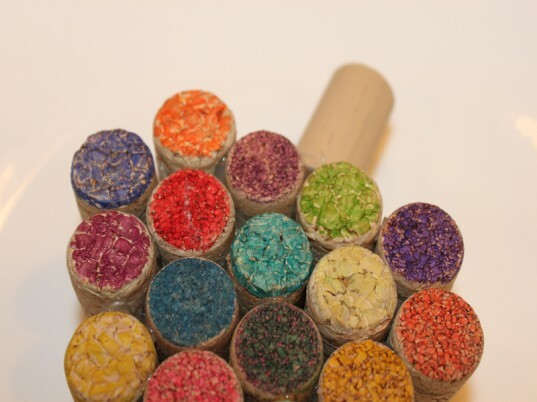 I let my son color all of the corks using his favorite eco-friendly markers. 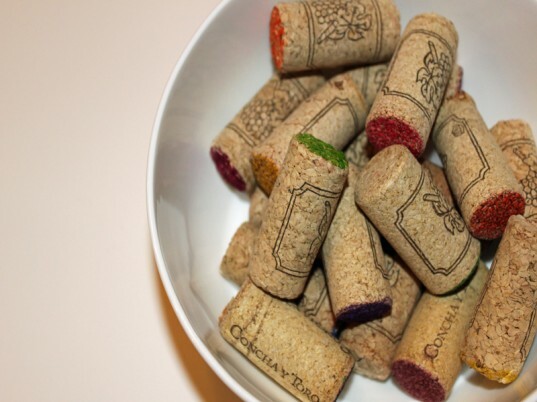 He choose a selection of fun colors and colored one end of each of the corks. 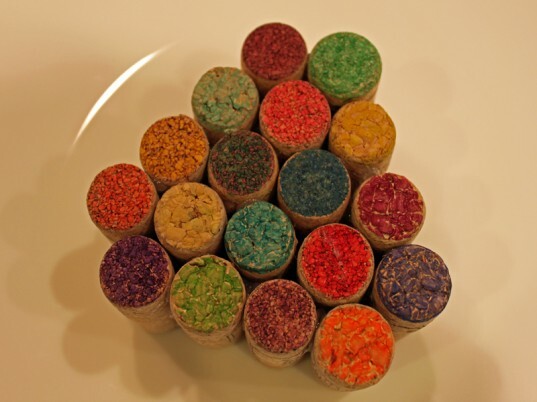 Take a few minutes to arrange the corks into a Christmas tree shape, alternating the colors so that the design is aesthetically pleasing. 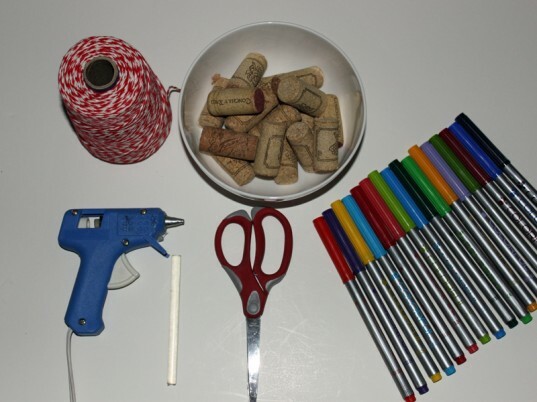 Using your hot glue gun, glue the corks together, except for the top cork. Cut a few inches of bakers twine and tie it into a loop. 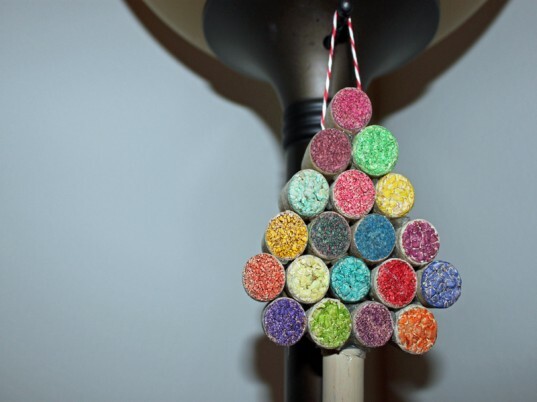 Glue the loop of twine to the top of the tree, then glue the top cork onto the tree. 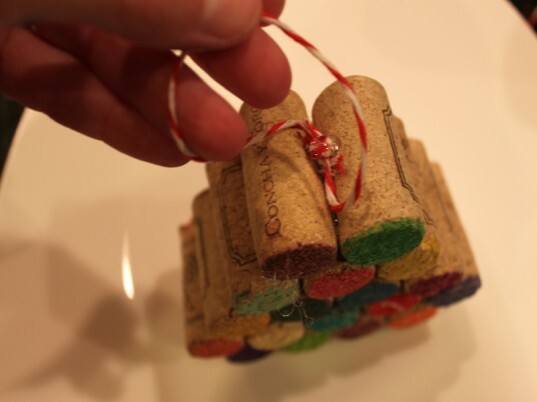 Glue a cork vertically to the bottom of the tree for the trunk. These little trees look great hanging on doorknobs and they make fun gifts to give this holiday season! These little trees look great hanging on door knobs or make a fun gifts to give this holiday season!